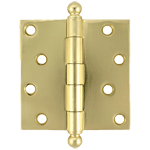 Round Backplate Set in brass that works with the AH-51 glass knob set on modern doors or old with our latching system. 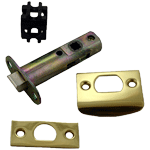 Package contains two backplates and two machined screws. This item ships same or next business day.